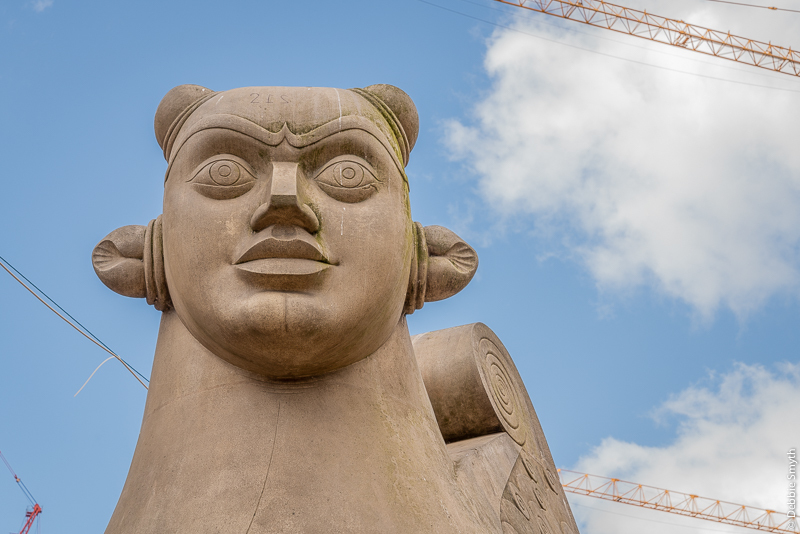 These two Sphinx-like animals were commissioned by Birmingham City Council for the new format Victoria Square that was opened by the Princess of Wales in 1994. 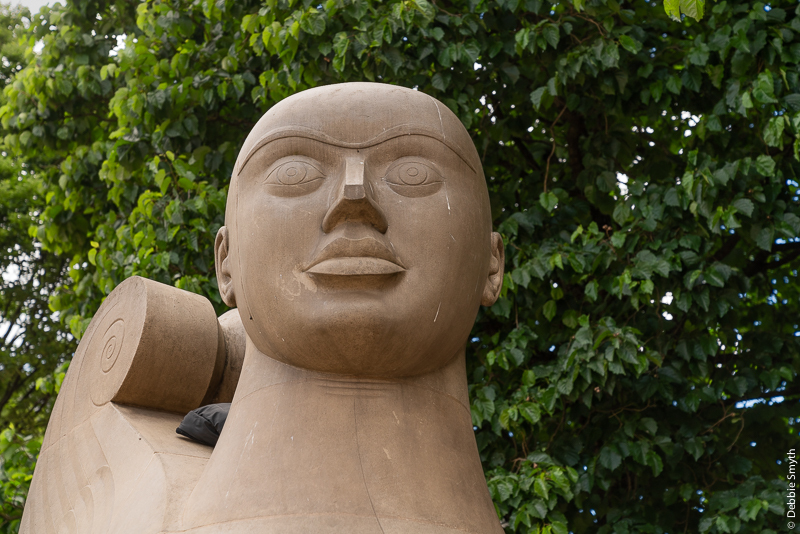 Known as The Guardians, these pieces are the work of Dhruva Mistry CBE RA, and are made of the same Darley Dale stone as the Council House, that overlooks the square. My prompt for this post was the Oxford Dictionary’s Word of the Day. A number of online dictionaries issue these random but interesting words, and I thought I’d use one of them today as my recognition of today’s National Writing Day. I like their eyes. It gives me the heeby jeebies when they don’t have iris’s and pupils. These are next to the floozie in the Jacuzzi, am I right? Yes, that’s right. Though the floozie is now in a garden not a jacuzzi! Yes, but the “matron without apron” in the garden doesn’t sound as good. 🙂 Pity though, since she is supposed to represent “the river”.